You may not notice it, but the boredom, fatigue, and general disinterest you may feel when coming to work may be due to the office itself. You probably know by now that the workplace affects your mood and productivity, but do you really know what’s causing this? Take a look at your workstation, your seatmate’s, and the whole floor. A few tweaks here and there could make you more comfortable and productive. Temperature, both indoors and outdoors, can cause a lot of problems. Inside the office, temperature that’s too cold can leave you feeling tired, sleepy, or unenergetic. A room that’s too hot, meanwhile, leaves you feeling sticky, uncomfortable, and on the lookout for ways to cool down. In Australia, the Compliance Code for Workplace amenities and environment says the “optimum comfort for sedentary work is between 20°C and 26°C, depending on the time of year and clothing worn.” A few degrees higher or lower than these numbers could easily reduce office productivity. Overly humid air makes a lot of people feel tired and drained. On the other hand, air that’s drier than usual is also uncomfortable. The optimal levels are between 40% and 60%. Levels below 40% could become a problem for some workers, especially those with respiratory problems, such as sinusitis. You likely spend at least 8 hours a day sitting on a chair. You might not notice it, but the seat’s ergonomics, design, structure, comfort, and your posture when seated all affect your mood, and consequently, your productivity. At home, when you’re slouched in front of the TV watching movies or playing video games, you feel more relaxed, or at least not up for something physical. The same applies to the office. If you’re not sitting right, you may not also be getting into the right work mood and attitude. Is the computer mouse easy to reach or do your arms end up in an awkward position when you reach for the mouse? Is your keyboard at a right distance from your palm or do your arms ache from having to constantly adjust? Is the monitor far enough that you don’t end up straining your eyes? You may not notice it, but most of the time, these small placement issues are keeping you from working your best. The best time to implement some changes and improve the workplace is now. 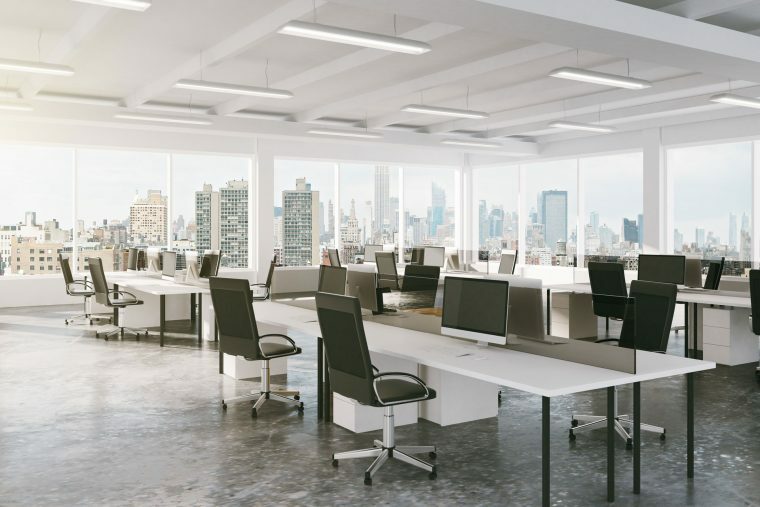 A small amount of money to renovate and improve the working environment is nothing compared to making everyone more productive, comfortable, and satisfied at work. Get in touch with us now and let’s start planning your office makeover.